Svetlana continues to develop painting on slate tiles. 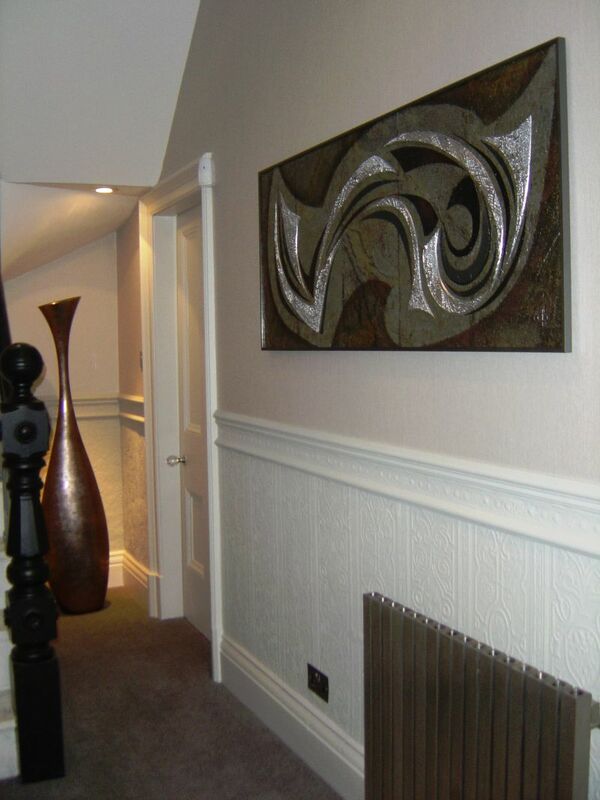 The latest addition is this sculptural, three dimensional work which does not detract from the beauty of the natural stone. The slate tiles are only 1 mm thick and resin backed for stability. The painting has a thin metal frame finishing off the tiles' edges. The wonderful textures have warm colour with silver and black accents. It is neutral, yet will make a statement in any situation.